FK talks to Sydney artist Nikki Catalano who recently debuted her range of artworks at the Sydney Finders Keepers markets. 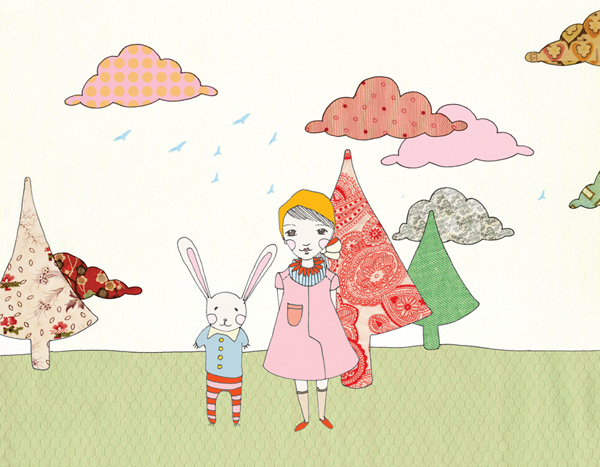 The current illustrations I am creating have a childlike quality with a Japanese/French feel to them. 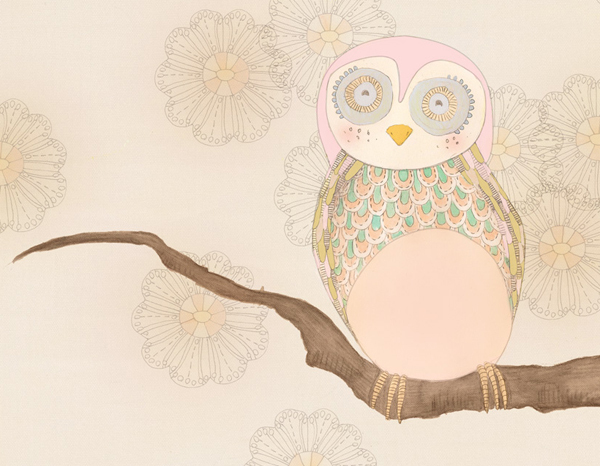 Like Japanese prints many of the illustrations make use of empty space whilst incorporating delicate pattern and detail. The images appear to be flattened and the depth comes from the incorporated textures, colours and patterns. The colours are soft like old picture books, a quality I really like for the nostalgic feel it creates. At present I am mostly drawing girls however I plan to create some more ‘boyish’ illustrations in the near future with pirate ships, trains and aeroplanes. 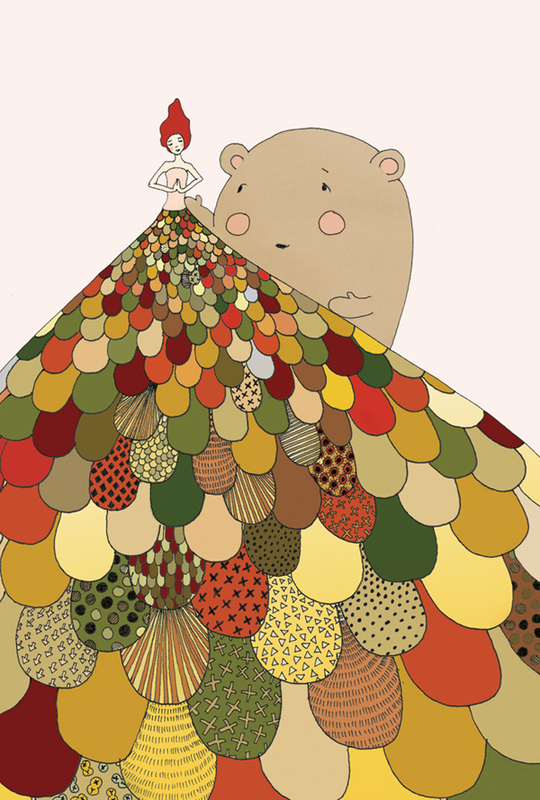 What is your creative background and when did you start illustrating? I’ve been into creative things since I was very little. My mum loves art and her work involves art with children. My sister Rosie and I were her testing ground when she was studying early childcare. We always had paper, pencils and paints laid out on tables for us. We were encouraged to get into all sorts of creative activities. I always loved art at school and then went and studied at Sydney College of the Arts and where I completed my honours majoring in Object, Art and Design. I wanted to cross disciplines and went on the College of Fine Arts to study a Bachelor of Digital Media. I am now studying an Advanced Diploma in Illustration and Design at Enmore Tafe. I love learning new things and being around other creative people keeps me inspired. Since school I have always carried around my little diary which I write ideas, paste images I like and draw. Illustration has become a true passion even though my creativity has crossed many disciplines including glass blowing, animation, jewellery and photography. Currently I am inspired by the illustrations of Ghostpatrol. 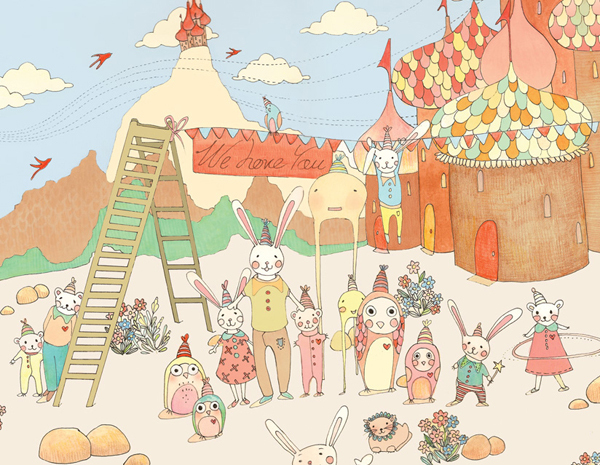 The illustrations are gorgeous, sweet and quirky! I also love the animations of Hayao Miyazake who often depicts young girls in fantastical landscapes with strange and wonderful creatures. I’ve always loved the work of Hokusai particularly the many artworks of Mt Fuji. The most prevalent inspiration for my work however is my own imagination. 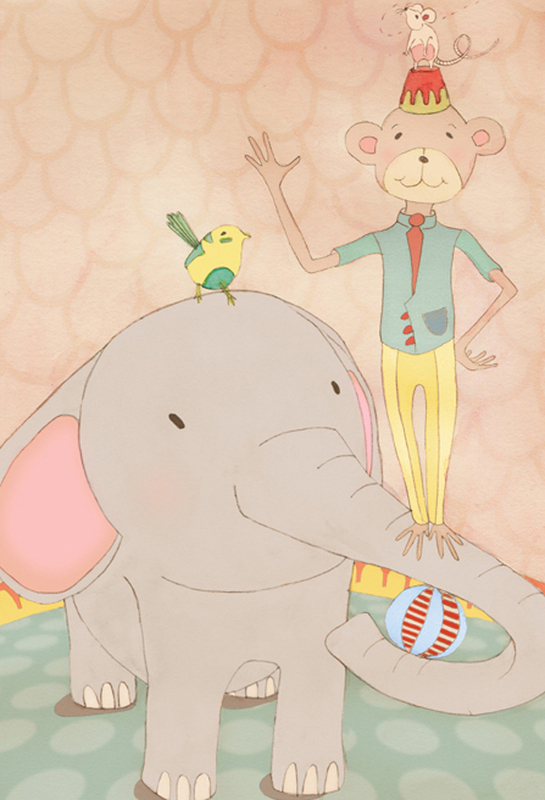 My illustrations remind me of thoughts, daydreams and visions I had when I was young. I was a daydreamer. I liked to imagine alternative worlds outside of reality, I felt safe and snug there. Describe your creative surroundings and how it influences the outcome of your work. I live in a very cute, two-storey granny flat that existed in a previous life as a horse stable. There is a pretty little garden outside and a gorgeous Japanese looking tree. I spend alot of time at my desk either drawing, looking around on the net, attending to orders or designing for projects. 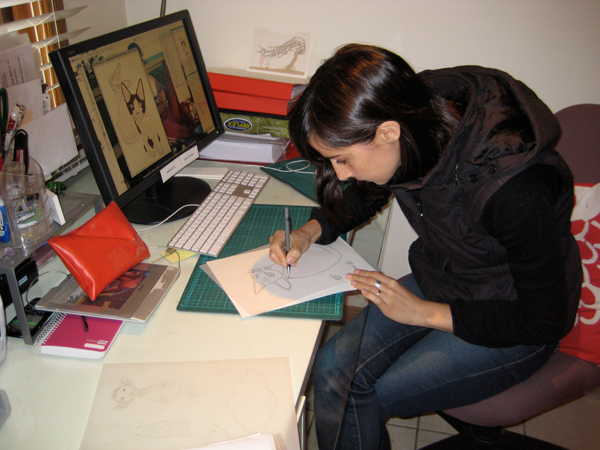 I have some of my own illustrations on the wall as well as others like Kathryn Del Barton and Kareena. I like to keep the house mostly white so that the colours in the illustrations, photographs and drawings about the place really stand out. I also have these lovely wall decal stickers of birds, trees and bunny rabbits from Flatbird Design. My shelves are filled with magazines like Frankie and IDN as well as art books, previous visual diaries, old assignments I can’t seem to let go of and lots of pretty knick knacks. I used to draw mostly when I was out and about but these days I like to be cosy at home and draw alone. I feel more peaceful this way and I think the drawings reflect how I feel when I do this. What advice would you give other artists starting out? I still feel like I’m starting out! My greatest advise is to find someone you admire, who is living their passion and learn from them. My sister is my greatest mentor and has always been very encouraging with my art. I watched her with her own music practice. Rosie not only has the courage to develop her musical career but also shows me that it requires work and is a gradual process. I’ve learnt that to live what I love is a step by step process, with lots of learning curves and determination. What do you find most inspirational about Sydney? Sydney for me equals home. Sydney is where I grew up. I was born here on Crown street and it wasn’t until I moved to Hobart as a teenager for a short while that I realised how much I missed Sydney. I missed all the iconic things like the harbor, beaches, galleries, festivals and gorgeous gardens are so unique to Sydney and are so much part of my history growing up here. I feel like there are alot of opportunities for me in Sydney as a creative person. I’ve also started selling my illustrations in Sydney both in stores and also at markets like the Finders Keepers! They are opportunities that arise more frequently in a big city. What has been your favourite project/exhibition and why was it so rewarding? My favourite exhibition I’d have to say was Good Girls with my friend and artist Isabel Watts. Previously I saw illustration as a past time and this exhibition was an enlightening moment for me. Seeing my work on the gallery wall made me realise I could do more with it. What began as an exhibition then spurred the idea of selling my illustrations as prints and grew into my online Etsy store, ongoing commissions, design markets and selling to stores. The exhibition also encouraged me to study illustration further. My favourite project was illustrating Mitsu; The Dark Witch and The Dream Wilderness which my sister wrote. We both work very well together and while my illustrations initially inspired many of ideas for the story, so too my illustrations embodied her ideas for the story. After 4 years in the making we are finally launching the book in June and it is already available to purchase online. This book is our little baby and we are now working on a colouring book together for Ludivine from Home and Human Fashion. What new works or projects are you working on at the moment? I’m in the process of creating new illustrations with more depictions of young adults with childlike surroundings. The illustrations combine stylization, collage and more realistic elements with brighter colours and black and white elements. 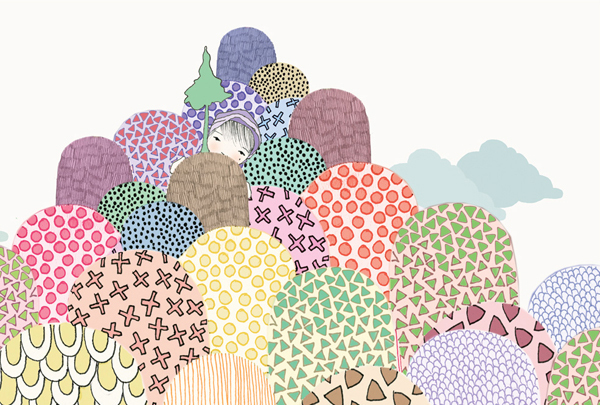 I am also working on the colouring book with my sister which is very exciting, it’s all about daydreaming. 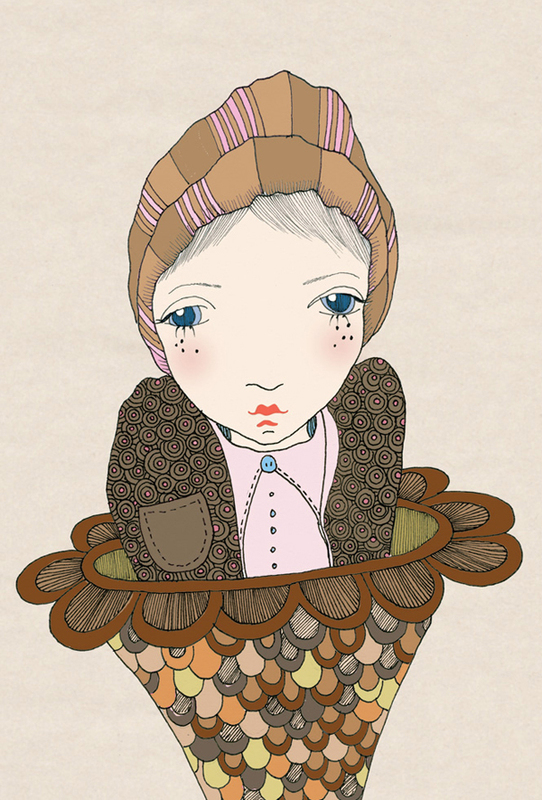 The other work I’m creating at the moment are more illustrations for boys seeing that most of my work appeals to girls.